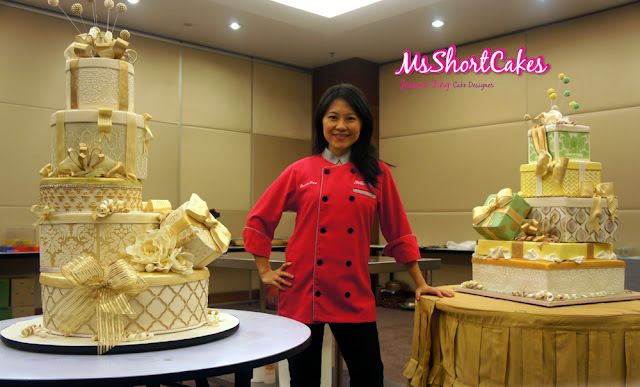 Miss Shortcakes: Starting 2013 with a big BANG! Ok, I have to admit it - I anticipated Doomsday 21.12.12. I went out to buy candles, batteries, instant noodles, 30 litres of drinking water, and even got my Dad to fill up the spare gas tank for the stove. My reasoning was, at least I was somewhat prepared for the 3 days of darkness that was supposedly to happen on the 22nd of December. I was warned that it might happen, so I went out and did what I had to do to "ride out" the 3 days. It obviously didn't happen. And that meant, having to get back to work. The first project was a 5 tier wedding cake, for a sweet girl who ordered it from Australia. She's Malaysian and was having her wedding reception in KL for 700 guests. 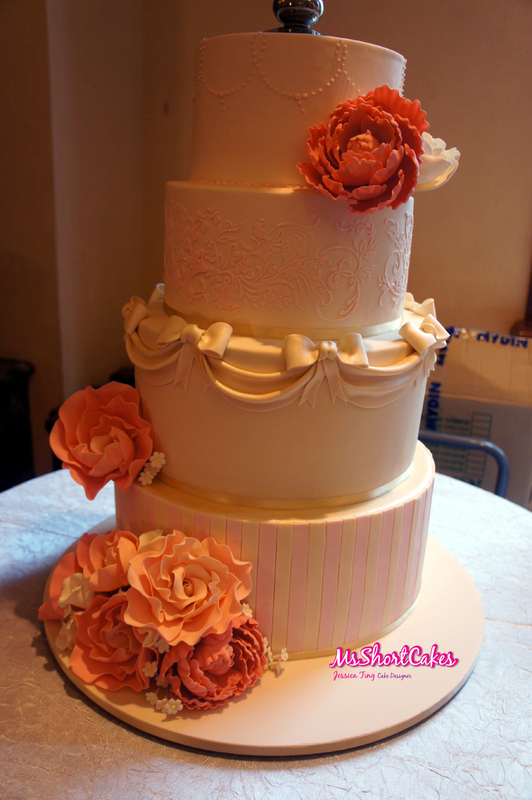 She wanted something pretty in pink with sugar flowers to suit her Vintage theme. And her other requirement was that it had to be BIG. 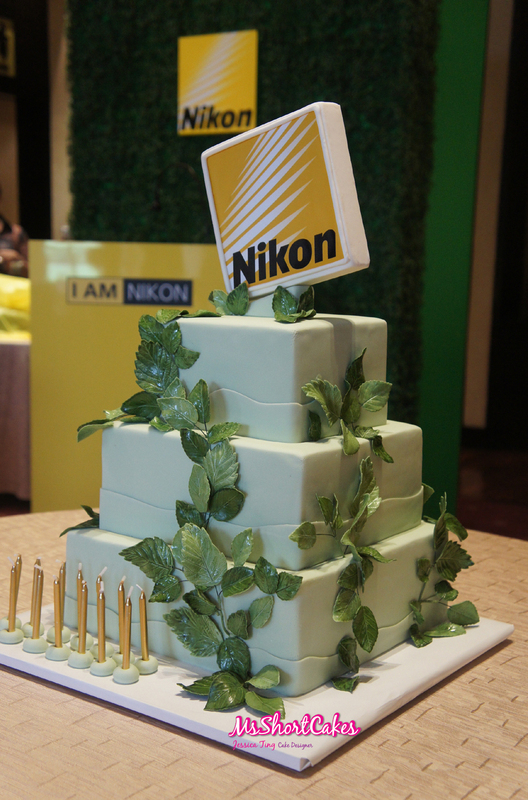 The second project I had was for a corporate client, Nikon. 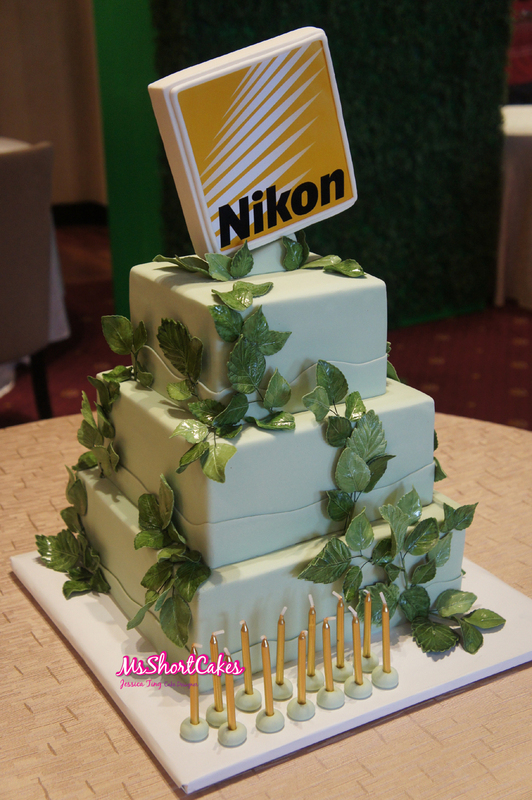 Their theme this year was, "Going Green" and they wanted a cake to suit this. 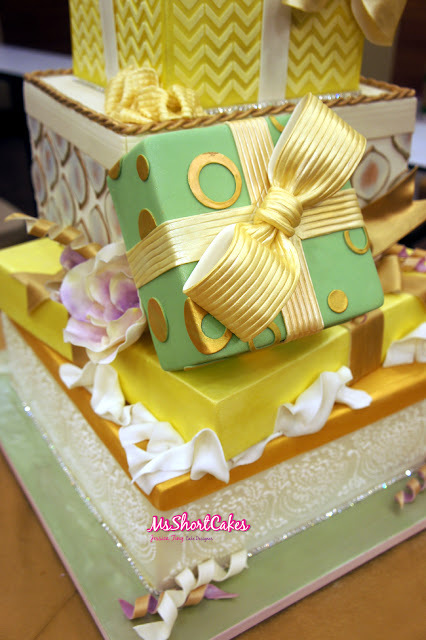 I made all the sugar leaves on this cake as well, in different sizes and colours, veined them, wired them, and also glazed them to create a shiny effect. The cake flavour inside was green tea. 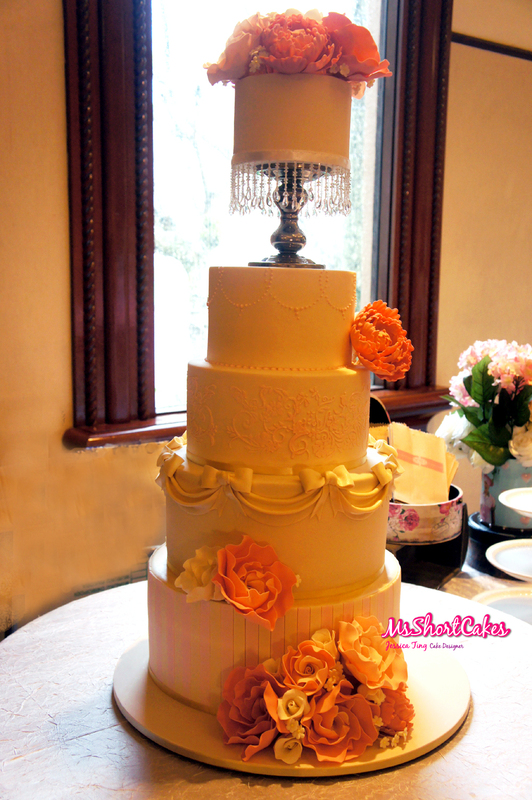 Each tier was 4.5" tall and the largest tier on the bottom was 11" x 11". It weighed a ton! 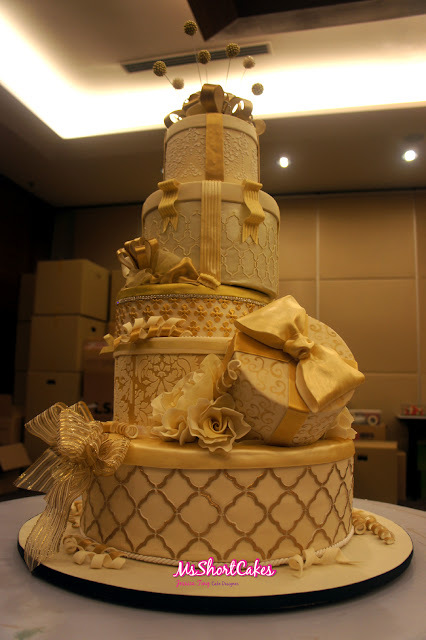 The brief was an elegant wedding cake, to look like present boxes, nothing to "weddingy". Work began immediately that day and went on every night till around 10pm. 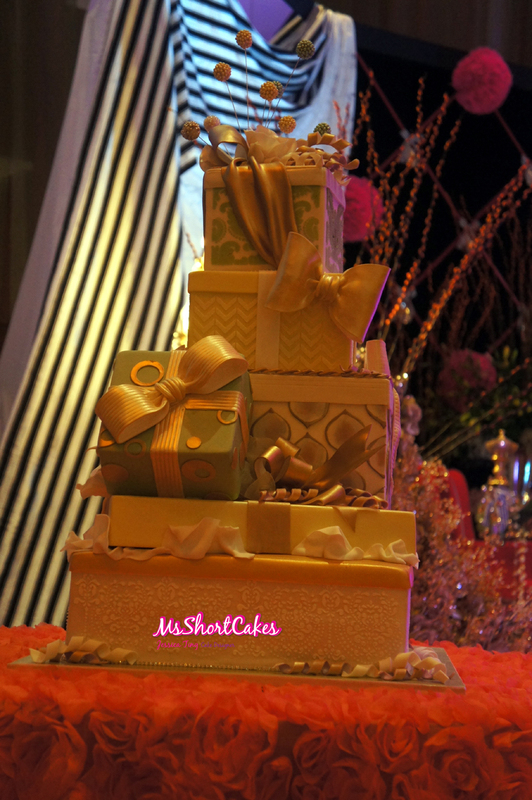 There were tons of people about everyday, working on the wedding. 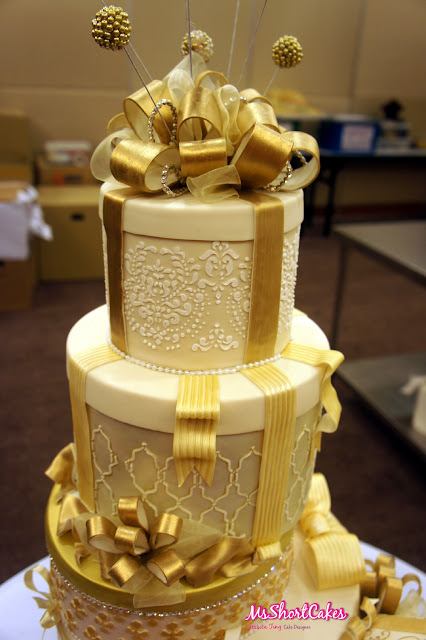 Staff for the flowers, decorations, gifts and favours, drivers, security, hotel and palace staff, and little ol' me, working by myself on the cakes. There was a conference room set up for all the wedding staff, for meals, 24/7. It was a nice touch. 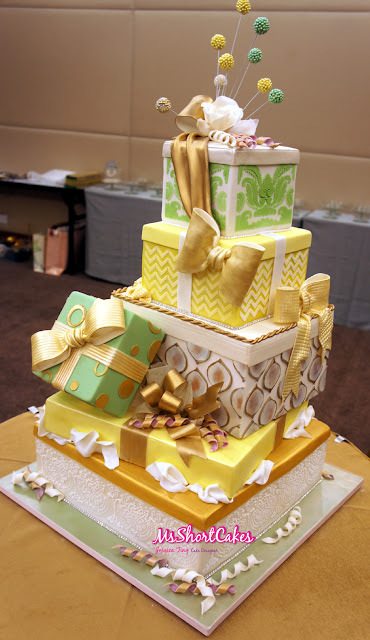 I was well-looked after by the hotel staff and spent a few hours with the pastry team too, demonstrating my craft. 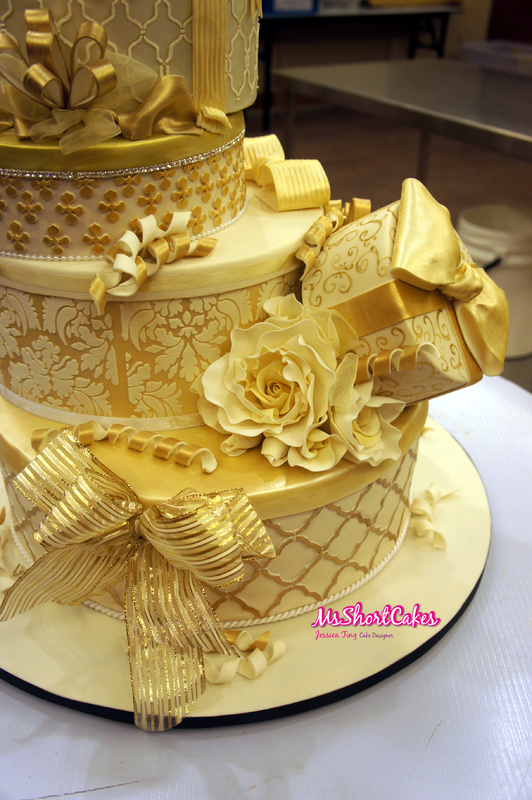 I managed to get some help for one day from the pastry team, and they helped me with some gold painting and icing the Mini Wedding Cakes. I wouldn't have been able to finish without their help.